Losing weight can be quite a harrowing task, especially for people who are busy and have no time to work out or follow a proper diet. A lot of people are very health conscious nowadays and are often seen beating themselves up over a cheat meal. But a new study has indicated that self-monitoring your dietary habits can be beneficial and it doesn’t even take up a lot of time. The study, conducted by the researchers at the University of Vermont and University of South Carolina, said that if you want to lose weight then the single most effective and reliable predictor of success is how often you monitor your dietary habits, including monitoring your calorie budget and fat intake. 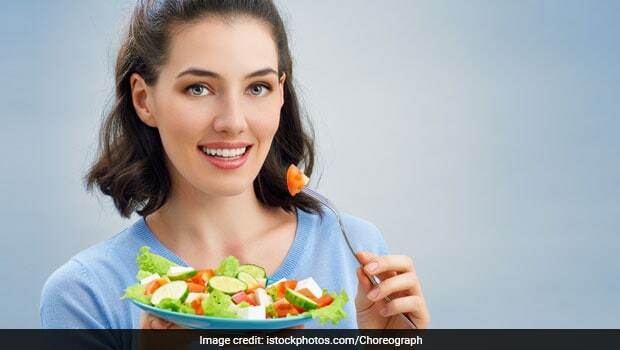 The study also said that the diet monitoring maybe widely viewed as time-consuming and unpleasant, but that in reality it may be less disagreeable than it is perceived to be. The study tracked the success rate in an online behavioural weight loss program, saying that the most successful participants of the program spent as little as 14.6 minutes monitoring their diet on a daily basis. Apart from recording their calories and fat intake, the participants also recorded their portion sizes and methods of preparation of their meals. This study is a first of its kind as it quantifies the amount of time that self-monitoring of diet takes, for those who are successful in losing weight. The study was conducted with the participation of 142 people, who met weekly for a period of 24 weeks, for an online session with a trained dietitian. The results of the study were published in the journal Obesity. The most successful participants of the program lost 10 per cent body fat and logged in for an average of 23.2 minutes per day, to record their calorie and fat intake at the start of the program. In six months, that time had come down to a mere 14.6 minutes per day. The research found that those who logged in more often in a day and were more consistent with the dietary self-monitoring were more successful as compared to others who, for example, include more details in their logs. The researchers concluded that it was the act of self-monitoring itself that predicted the success rate better, rather than the details of the log itself. The researchers hoped that the results of the study can help prospective weight losers set behavioural targets and push themselves to self-monitor what they eat. The researchers said that with an upswing in the number of dietary self-monitoring mobile and web applications, the study’s results may motivate people wanting to lose weight to self-monitor their daily meals. 1. Drink adequate water before your meals to control portion size. 2. Share your weight loss goals with family and friends. Try and follow a healthy diet with a friend or a family member, so as to keep yourself motivated. 3. Track your weight consistently. When you see results, it motivates you to keep eating healthy. 4. Time your meals properly and don’t ignore hunger pangs. Snack on healthy foods instead of starving and then bingeing on unhealthy food. 5. Cheat on your diet only if you feel like you have completed your workout or dietary goals for the week. Resist the temptation to go on weekly binges when you don’t feel like you haven’t made adequate progress. Red, itchy eyes: Is it pink eye or something else?